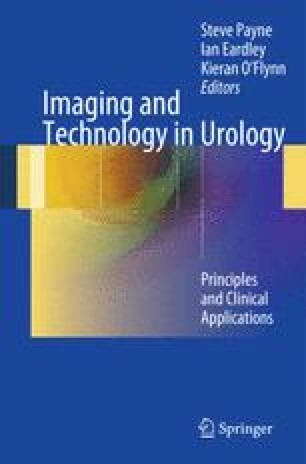 Despite the widespread increased availability of CT and MRI, the plain radiograph (e.g., the “KUB” abdominal film) still remains a key diagnostic tool for the urologist. In addition, the “c-arm” or “image intensifier” allows real-time imaging to guide a wide variety of urological procedures. Although a radiographer is commonly employed to perform clinical radiographs and operate the c-arm, it is important that the urologist understands the principles behind their function in order to make best use of these modalities.